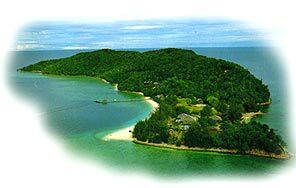 My daddy and mommy took me and my sister for a vacation in Kota Kinabalu (adults call it KK), Sabah, Malaysia. It was my first time on a plane. To try to jot down this wonderful (sometimes scary) experience, I have written a chronicle of events of the trip. I went to the airport. I used to see airplanes flying over my head at home. But the planes at the airport seem so big! I wonder why. My mom and dad told my sister and I that there’s a flight delay. Oh man, not for my first flight. That really drove me nuts because I couldn’t wait to hop on the plane. After an hour delay, the flight finally took off. I was amazed by the view from the plane. It was fun at first but I got bored and tired after a while. I wanted to sleep. To let my mommy know what I wanted, I cried. I finally fell asleep and next thing I knew was I was already at KK airport. I met my grandpa and grandma there. We were on the trip together. It was fun to see them there. I appreciate that Uncle J was willing to offer his house for our stay there. I can tell that Uncle J loves children because he made me feel comfortable when I was with him. He was there at the airport to bring us to his home, which was about half an hour drive. I must tell you Uncle J has got a big house and it’s new too! Another unexpected surprise was Patch, Uncle J’s dog. I made friend with her and I like to play with her. Even though she sometimes scared me with her sudden rush towards me. Mommy, daddy, sister, grandpa, grandma, Uncle J and I took a boat ride to one of the islands of Tunku Abdul Rahman Marine Park. 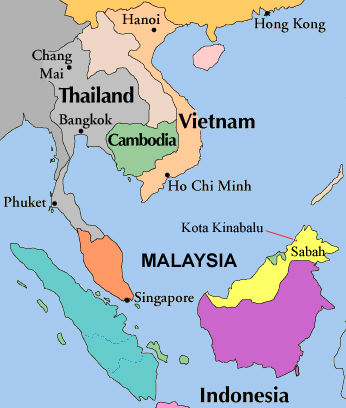 The island is called Pulau Manukan. Again, this was my first boat ride. There were too many new things and honestly I didn’t enjoy the boat rides. It was scary: strong winds and deafening sound of motor engine. To get over it, I had no choice but slept through the rides in my daddy’s arms. Also, I didn’t enjoy the beach while I was on Manukan Island. It was too messy to step on the beach and in the sea. You know I always like to keep myself tidy and clean. But that was one thing I liked about the Island: feeding the fish in the sea. I had never seen so many colorful fish before in my entire life! It was quite an experience. My daddy rented a car but he didn’t tell me where we went. What I knew was I felt dizzy throughout the almost 2-hour journey. Even though it was less than 100 kilometers, but due to the hilly and winding roads, it took longer than usual. That was one of the most uncomfortable road trips for me. My mommy said I suffered from motion sickness. I vomited and I felt very very terrible. To make it worse, I had stomach discomfort and watery stools. I lost my appetite even to my favorite sausage bun. I slept through the rest of the journey. The lunch we had in Ranau did not seem to be appetizing for me. Finally, we reached our destination at about 3pm. The place was cool and I liked it. The place is called Kinabalu Park. After doing some research, I came to know that the Park is located at 1,585 meters above sea level. This is the place where people gather to scale Mount Kinabalu (4,095.2 metres), the highest peak in South East Asia. 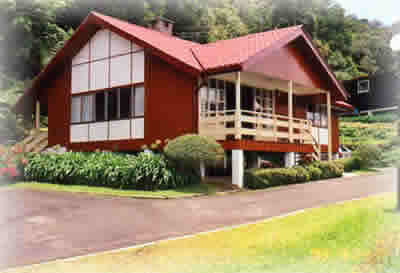 We rented a place called Summit Lodge for our stay in Kinabalu Park. I immediately fell in love with the Lodge and started running around in it with my sister. It was very misty outside. And of course, it was cold. We even had a fireplace in the Lodge to keep us warm. That night, I lost my appetite totally even though we had juicy Asian Chinese food. I love food but somehow I didn’t feel like eating that night. Even chocolate (my favorite) had lost its charm on me. My mommy was worried about me. After dinner, the mist was so thick that my daddy dared not drive. He asked the help from the restaurant to send us back to our lodge. We then collected the car next morning. My daddy was impressed with the excellent service rendered by the staff there. My daddy wanted to show off his skills and refused help from resort staff to light up the fireplace. With the help from newspaper only, he managed to set the wood on fire after one hour. It’s strange, my parents always tell me not to play with fire but see what my daddy did with the fireplace! Tonight was my worst night ever. Besides vomiting and stomach discomfort, I had fever. I was not my usual self and not as active. That night, while sleeping, I was woken up by hunger (since I didn’t have food that day since my vomiting) in the middle of the night. I cried for milk. After enjoying a nice, warm bottle of milk, I continued with my sleep. After breakfast (which I still didn’t have appetite for), we checked out from Summit Lodge and went to Timpohon, the starting point of climb to Mount Kinabalu. We trekked for about one kilometer. My sister was doing well. She walked through the stretch with grandpa and didn’t complain a word. As for me, I don’t like trekking and I hung on to my daddy and mommy all the time. Occasionally I made some fuss to convey my displeasure. My daddy suffered the most as he had to carry me for most of the trek. In the afternoon, we went home by going through the hilly roads again. I was smart this time. I slept through the journey and I didn’t vomit. I am sure mommy and daddy love me for this. We stopped by Tuaran town for lunch. 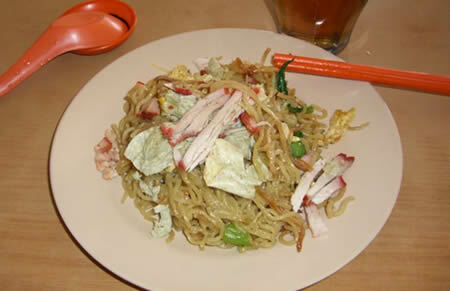 How could we miss the famous Tuaran mee? We reached Uncle J’s home at about 3pm. After some rest, Uncle J and wife, Auntie CL, brought us to a deserted seafood restaurant (Only locals know this place. It’s hidden somewhere) for dinner. The seafood there was very fresh. I liked the steamed fish the most. Today was the last day of our trip. My grandpa and grandma took a flight back home very early in the morning. Uncle J and Auntie CL, brought us to have “dim sum” for breakfast. Then we went to Gaya Street morning market. You can find almost everything there. From pearl to souvenirs, from rabbits to puppies, from T-shirts to plants. I don’t like this place as it was crowded and warm. Then we went to a cool, cosy place called Warisan Square. And we met up with Uncle J’s family for lunch. We went home to pack and get ready to go to airport to catch our flight home. I was woken up by my mommy from my afternoon nap to freshen up. I was really agitated by this. I cried and cried and refused to go for shower. Uncle J sent us to airport and we reached there about 5.30pm. This time the flight was on time. I enjoyed the airport view once again. I walked around at the departure hall. It was fun for the first few minutes while on board. Later, I felt tired, sleepy and bored. I couldn’t walk around the plane and I didn’t like that my movement was restricted to only my mommy’s lap. I began to cry loudly. Everybody started to look at me. I wanted my mommy to pat me to sleep standing up. I was about to sleep but she told me she had to sit down because the plane was landing. I was angry and cried again. My mommy said I cried for about an hour on the plane. My daddy apologized profusely to the passenger sitting next to us. To be honest, I didn’t know why they did that? Did I do something wrong? But on a positive note, I was very proud of myself because my daddy said I was the “Star of the Day” for the attention we got on the plane. For parents who want to travel with a 2-year old on a flight, you better think twice. My daddy and mommy had experienced what they said the worst case scenario with me. You may want to travel when your kid is younger or older, like 4-5 years old. My sister had no problems sitting on a plane and she enjoyed her flight pretty much.